The aim of PROCESS is to offer service prototypes for a variety of academic and industry tasks with high computational requirements and that can cope with very large data resources. In the not so far future hospitals may allow the acquisition of datasets of the scale of tens of thousands instances, arising the need for exascale learning models. The development of an exascale system for precision medicine will concern part of PROCESS, thus aiding the development of large scale predictive models for cancer diagnostics. 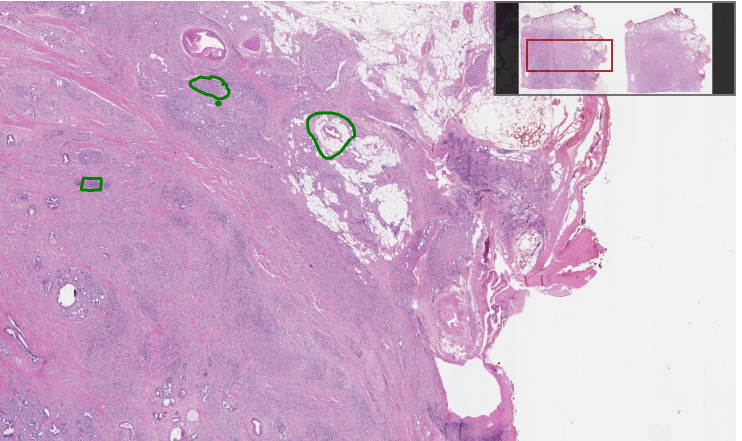 Whole slide histopathology images (WSI), which have gigapixel order of magnitude, will be analysed through machine learning and deep learning techniques to extract information from thousands of patient records. Whole image histology slide with a resolution of approximatively 100K x 100K pixels with 40 different levels of detail. The analysis of one image by a Convolutional Neural Network requires the extraction of overlapping patches, hence may result in highly expensive computations. The Leinbniz Supercomputing Centre of the Bavarian Academy of Sciences and Humanities (Liebniz-Rechenzentrum, LRZ) will host the PROCESS infrastructure for exascale computing. 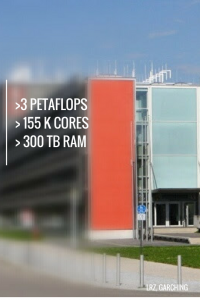 The SuperMUC is one of the most energy efficient supercomputers in the world, with more than 3 Petaflops peak performance, more than 155 thousand cpu cores and a 5 sided cave for Augmented Virtual Reality simulations. The project has received funding from the European Union’s Horizon 2020 research and innovation program.